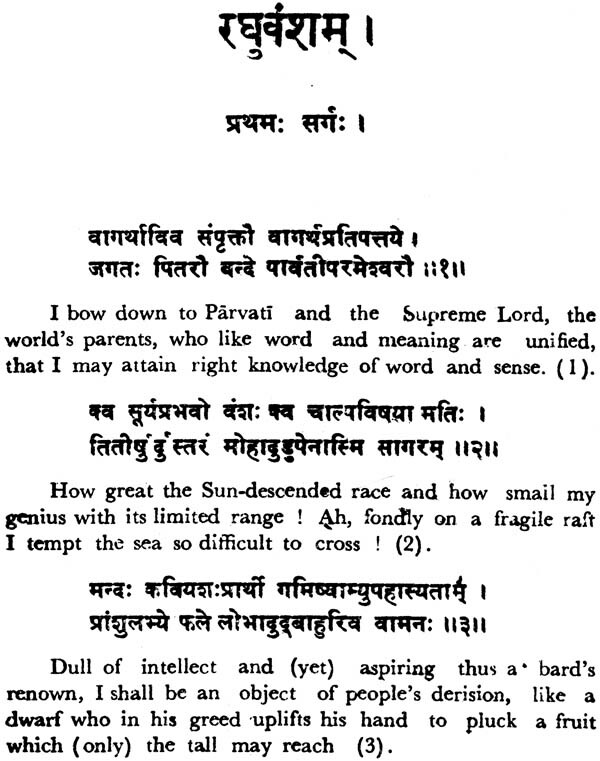 This volume comprises three famous plays of Kalidasa: Abhijnanasakuntalam, Malavikagnimitram and Vikramorvasiyam. They represent the skill and artistry commanded by the immortal figure of Indian dramatic literature. 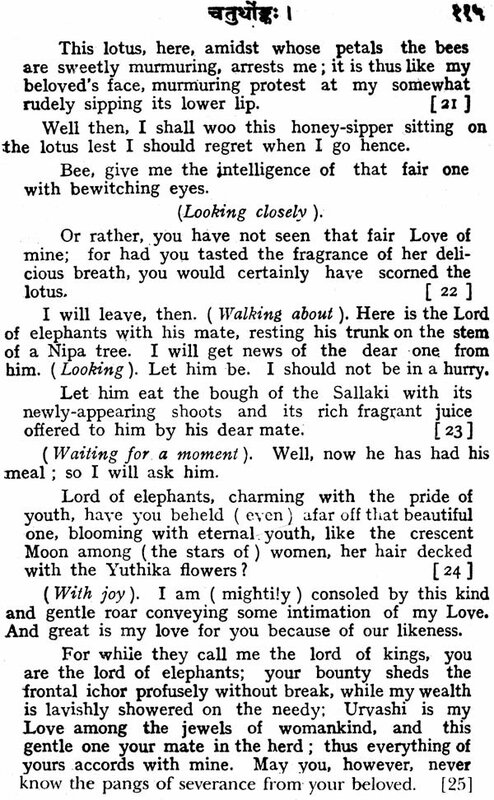 Each of the plays opens with an Introduction. 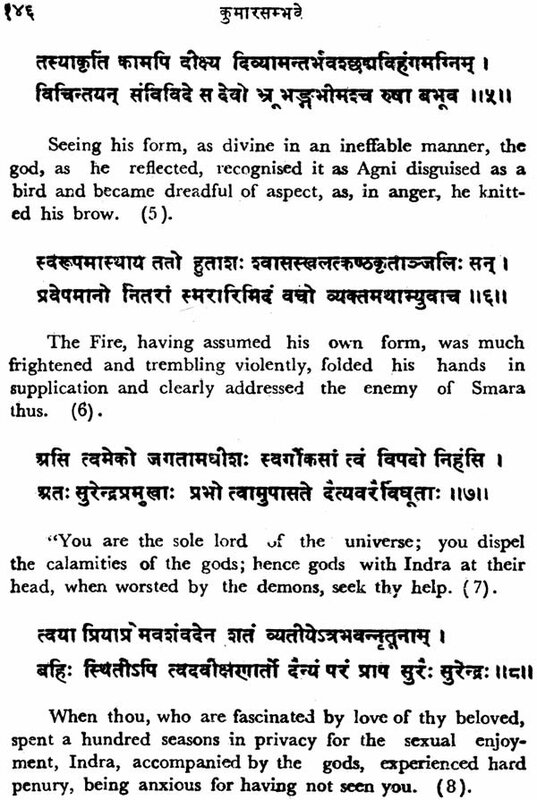 This is followed by the text in original. Then the translation of the text appears. 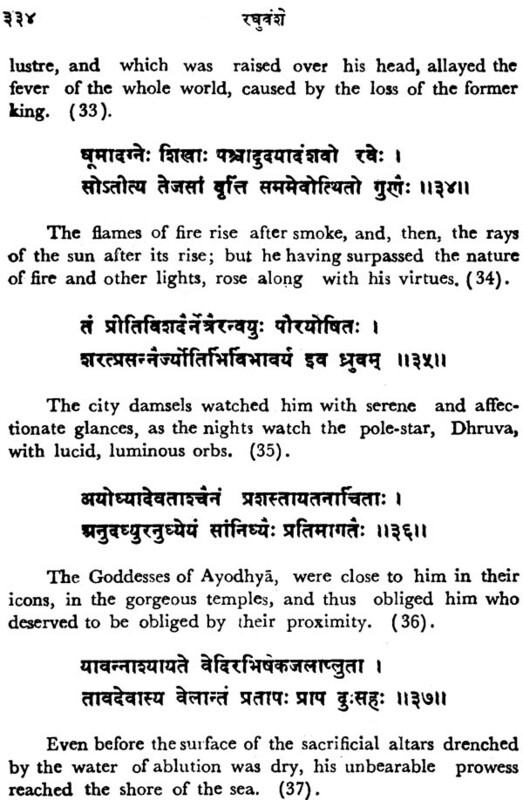 Elaborate critical explanatory notes form the last section of each paly. The volume is intended for students of the university level. 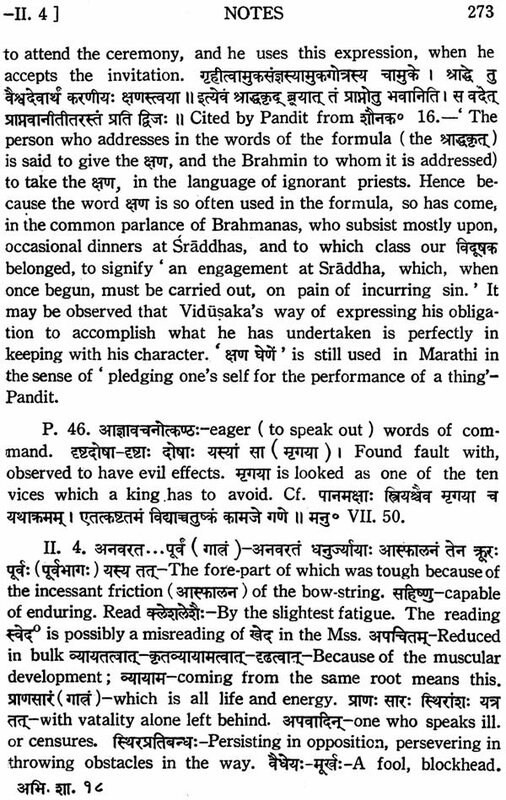 General readers of Sanskrit literature will also find it interesting. The best productions of the Indian drama are nearly a dozen in number, and date from a period from about the beginning of the fifth to the end of the eighth century A.D., embracing something like four hundred years. 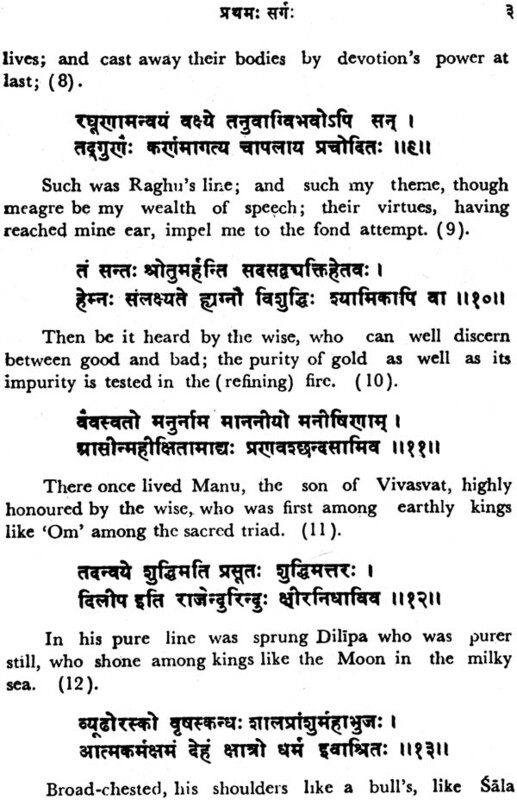 These plays are the compositions of the great dramatists Kalidasa and Bhavabhuti, or have come down under the names of the royal patrons Sudraka and Srikhrsa, to whom their real authors attributed them. 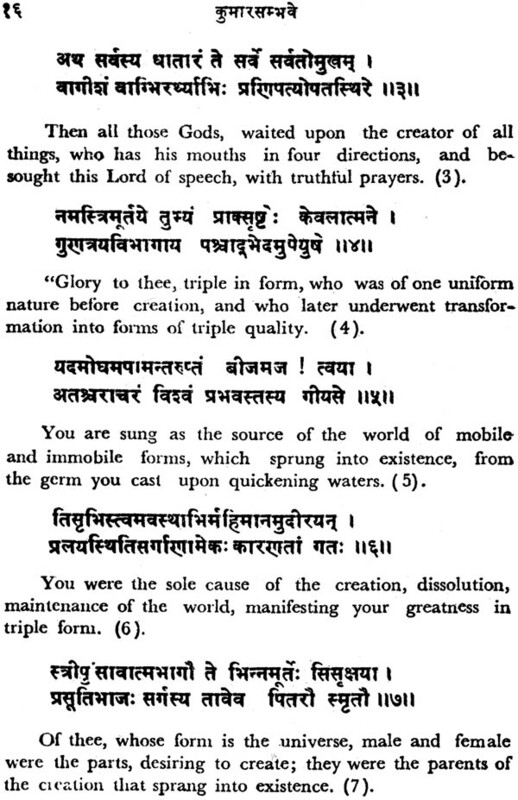 The greatest of all is Kalidasa, already known to us as the author of several of the best Kavyas. 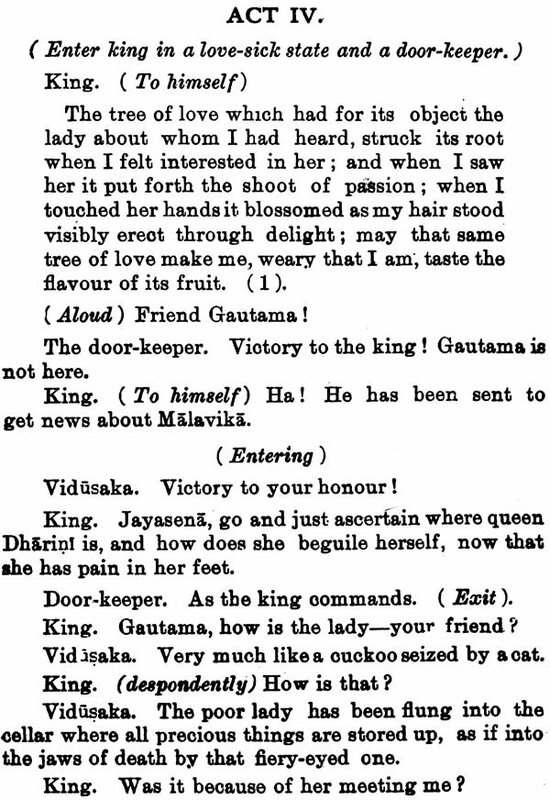 Three of his plays have been preserved, Abhijnana Sakuntalam, Vikramorvasiyam and Malavikagnimitram. 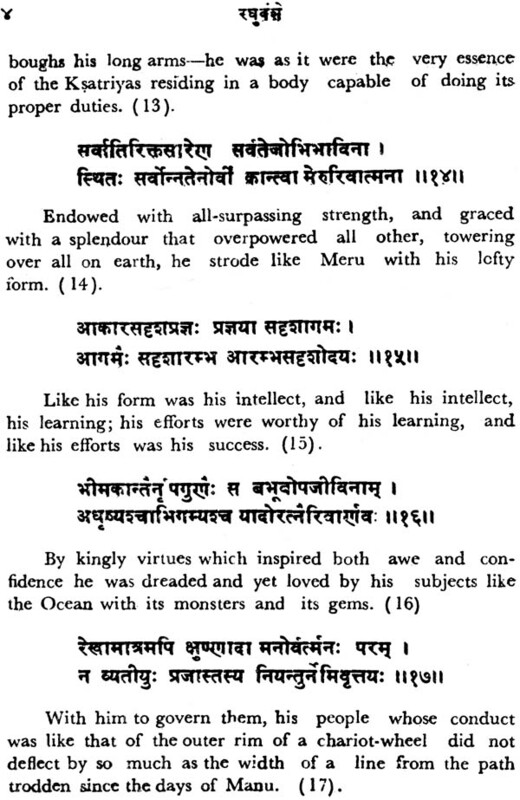 The richness of creative fancy which hs displays in these, and his skill in the expression of tender feeling, assign him a unique place among the dramatists of the world. 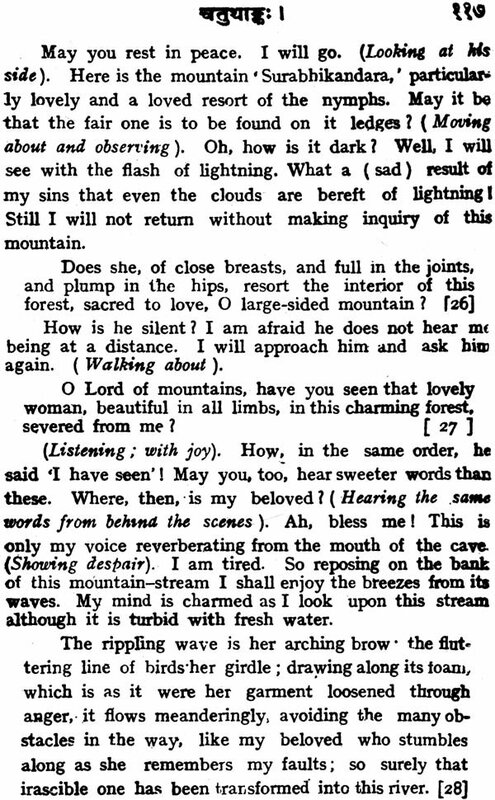 The harmony of the poetic sentiment is nowhere disturbed by anything violent or terrifying. Every passion is softened without being enfeebled. The ardour of love never goes beyond aesthetic bounds; it never maddens towild jealousy or hate. 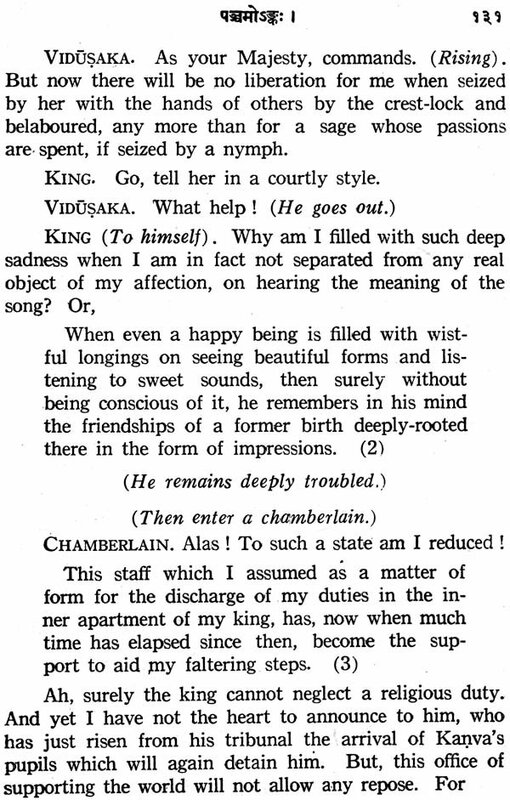 The torments of sorrow are toned down to a profound and touching melancholy. 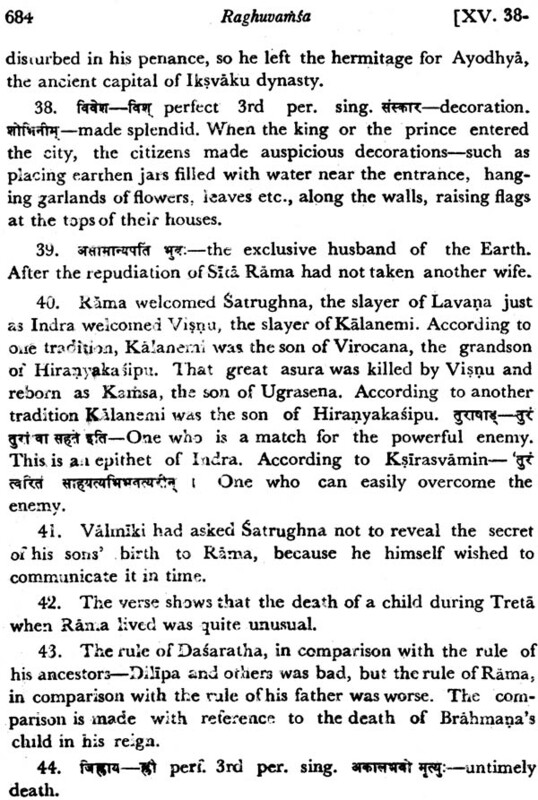 We have collected in this volume, the representatives of the romantic drama of India, Abhijnana Sakuntalam and Vikramorvasiyam, dealing with the love adventures of two famous kings of ancient epic legend. 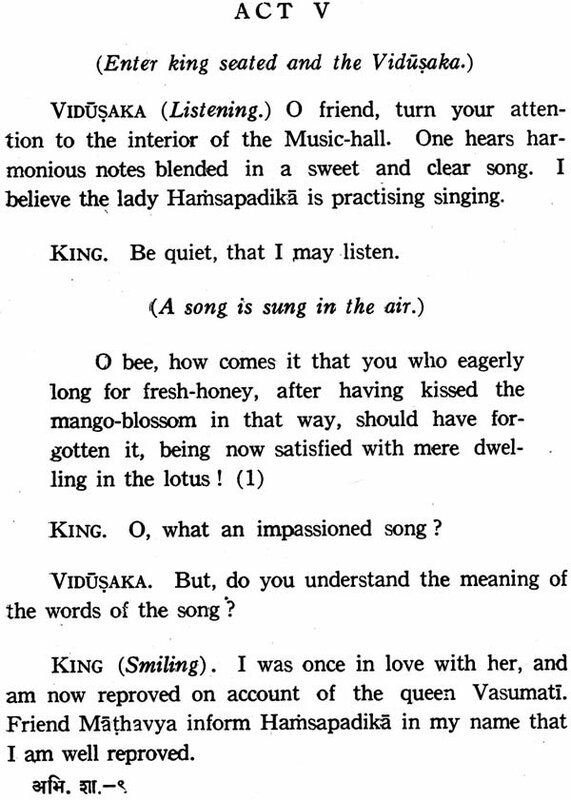 Malavikagnimitra, on the other hand, is a story of contemporary love and fancy. 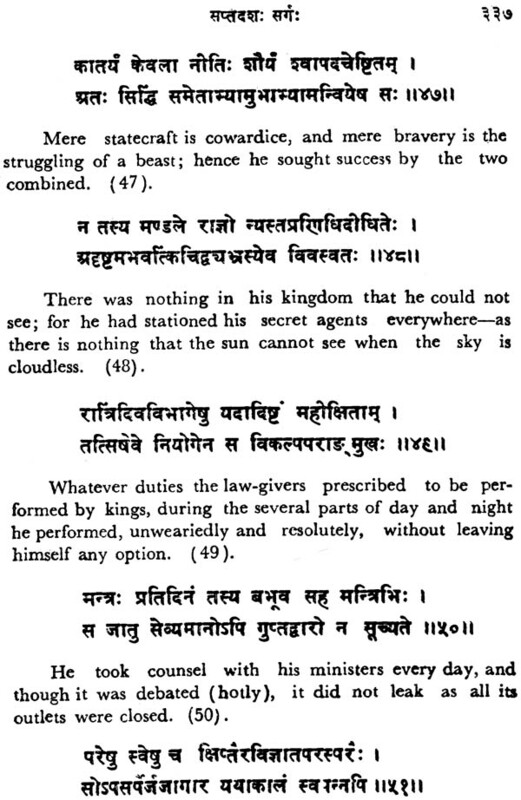 Srngaratilaka and Rtusamhara display the poetic imagination of his early youth. 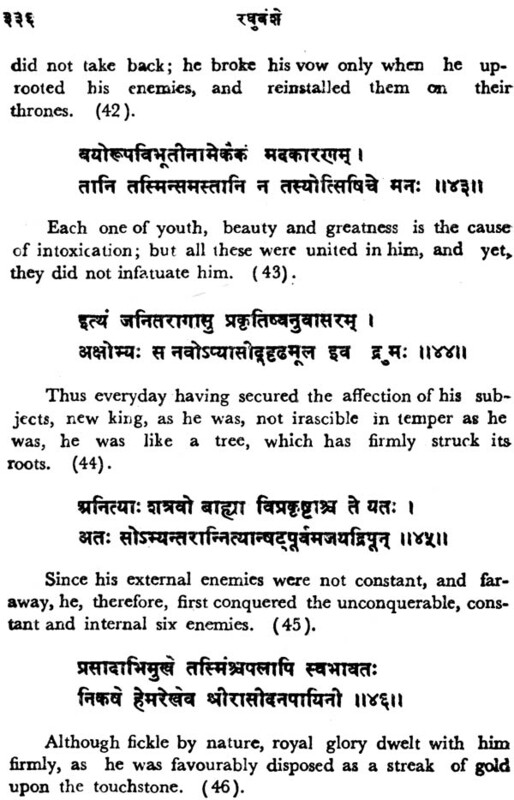 The Meghaduta is the work of his advanced years. The Kumarasambhava and Raghuvamsa are the works of his mature age. 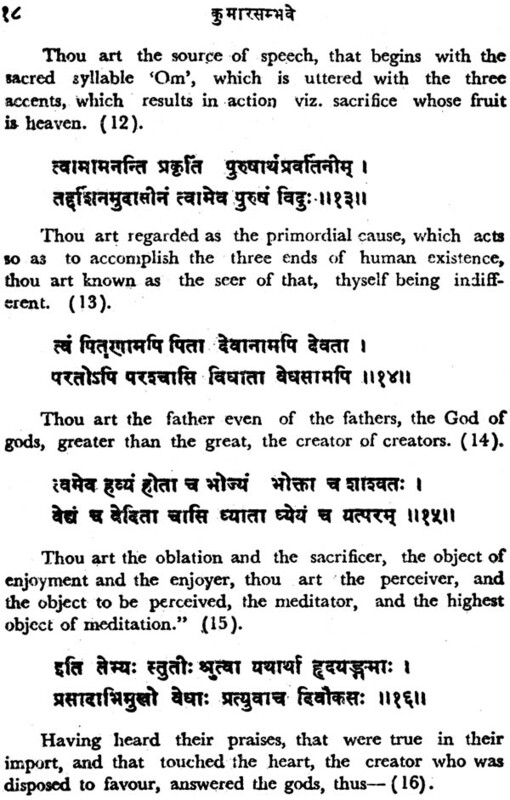 His kavyas are praised for the happy choice of his subjects, for his illustrations derived from nature and human life. 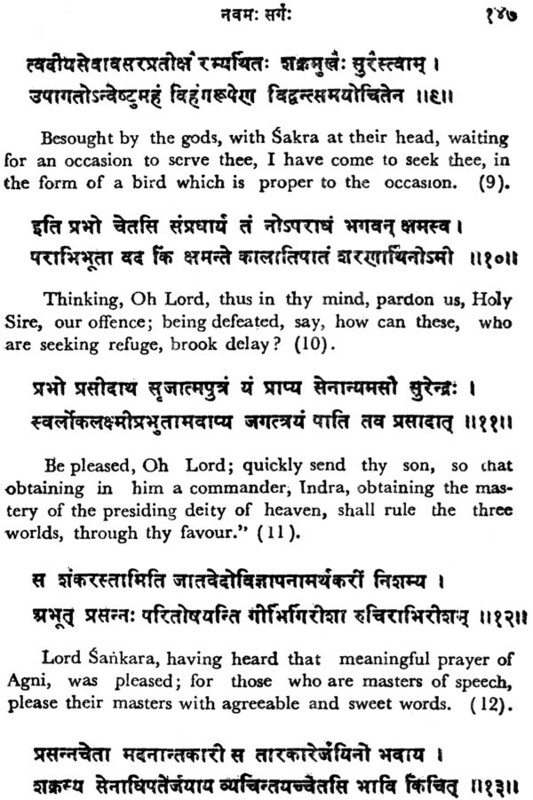 In this volume the text is followed by English translation. 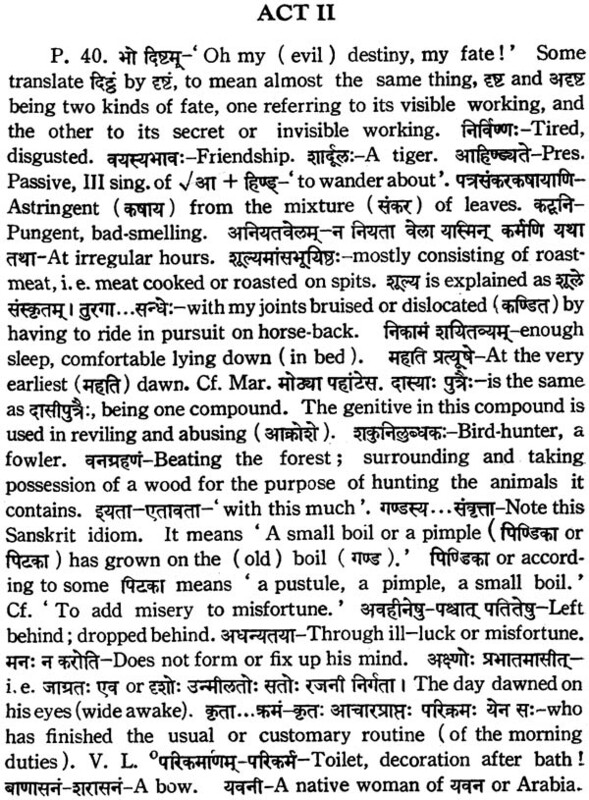 Each and every kavya is prefixed with an English Introduction or an Editorial Note. 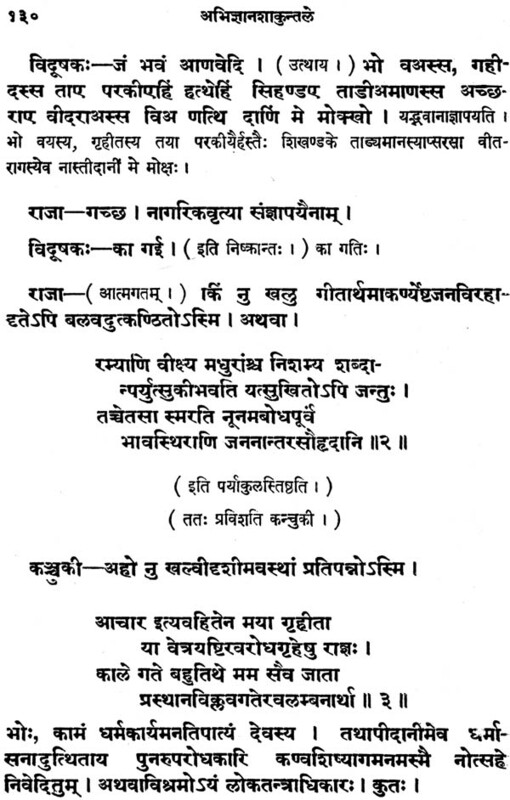 The general introduction has been incorporated in the Introduction to the text of Raghuvamsa to which notes are added to discuss the passages where the commentators differ in their interpretation. 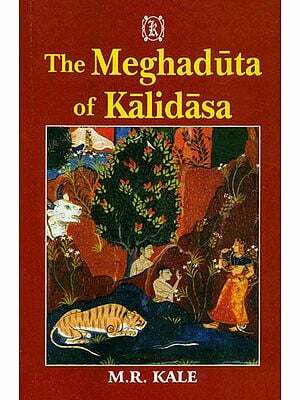 Kalidasa is known as the best of Indian poets and dramatists. Part I of his works was published by us in 1966. It was reprinted in 1972, 1977, 1981. 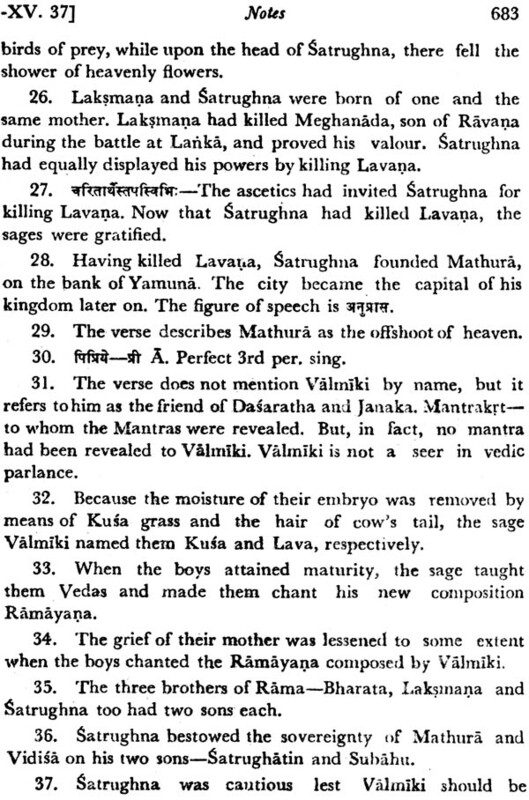 That part contains his three plays: Malavikagnimitram, Vikramorvasiyam and Abhijnanasakuntalam. 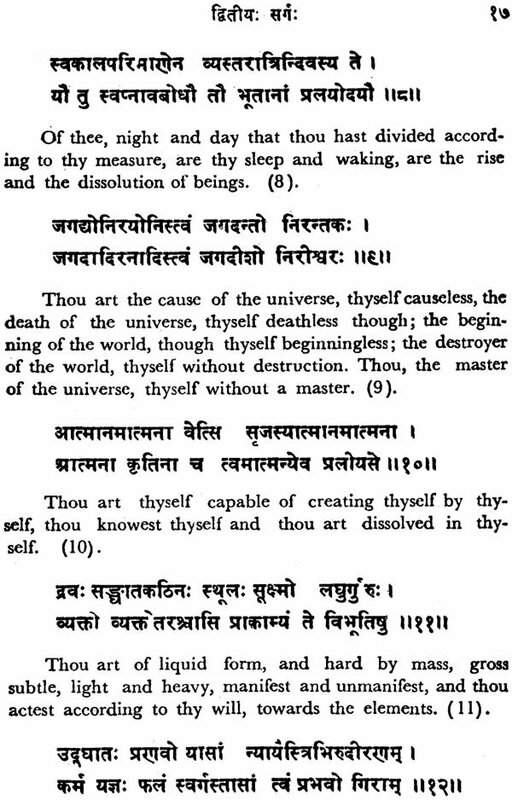 Therein Sanskrit Text is printed side by side with English translation and followed by notes at the end. 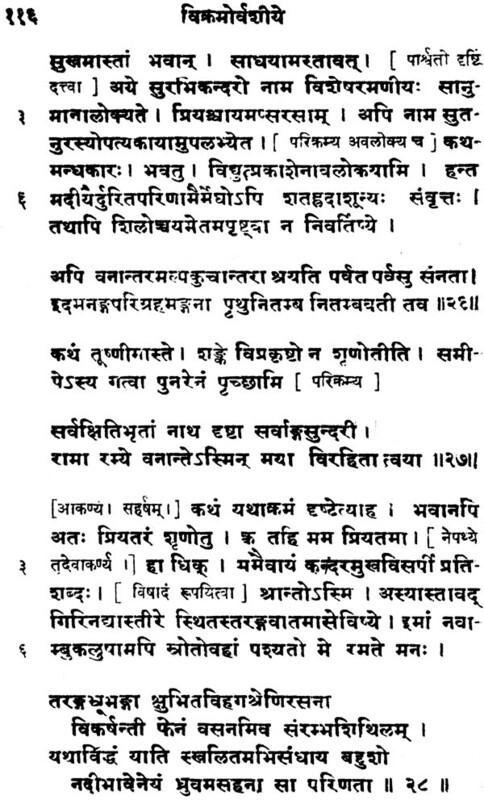 A short introduction is prefixed to each play while an alphabetical list of verses and a metrical table are put in appendix. 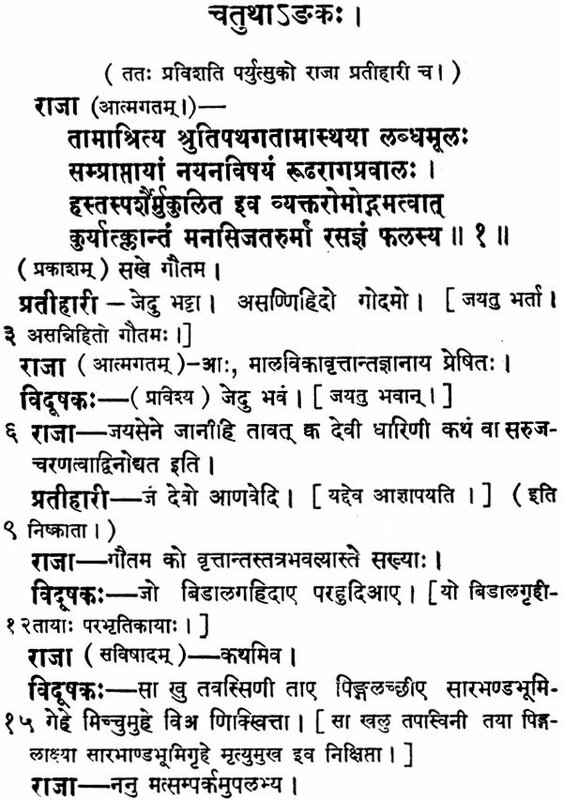 The present part (no.2) treats of the Kavyas of Kalidasa- Srngaratilakam, Rtusamharam, Meghadutam, Kumarasambhavam and Raghuvamsam. The general pattern being the same, this part deviates from the previous one in certain respect, for instance, here the order of arrangement is governed by chronology and not by preference. 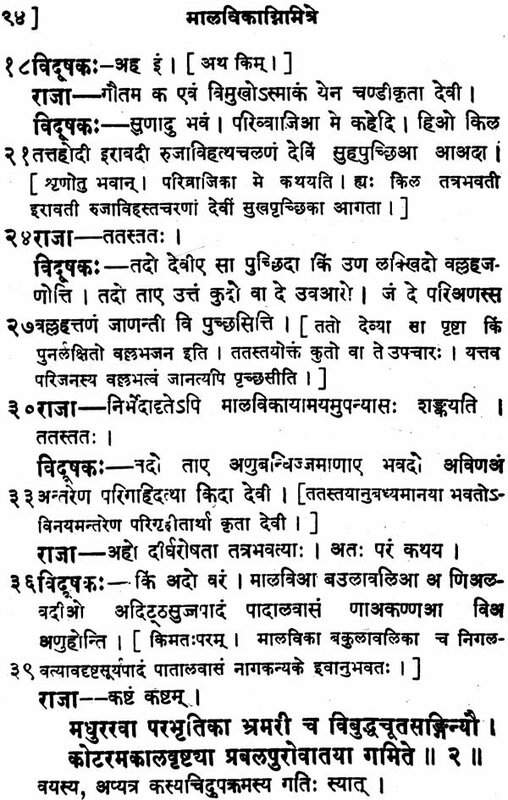 Srngratilaka and Rtusamhara are the productions of the poet's early youth, Meghaduta is a work of his youthful day, Kumarasambhava and Raghuvamsa are the works of his advanced age. In regard to the serial order of these works scholars have differed. 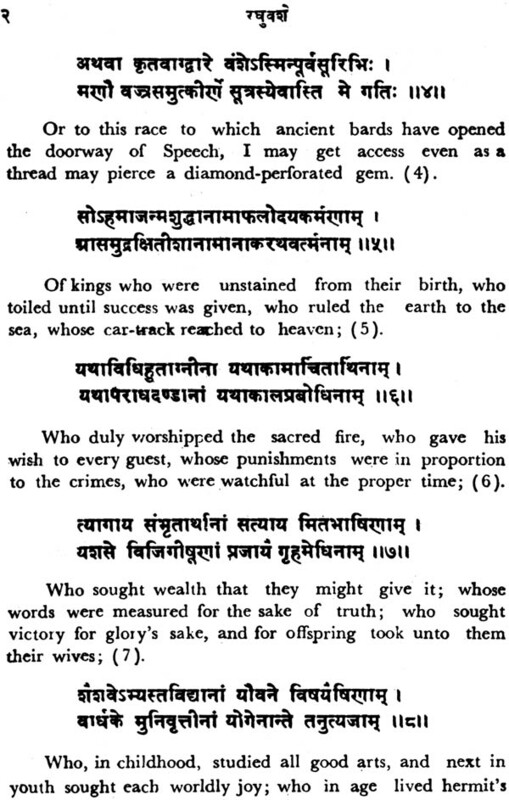 But we have followed the chronological order as accepted by most scholars. 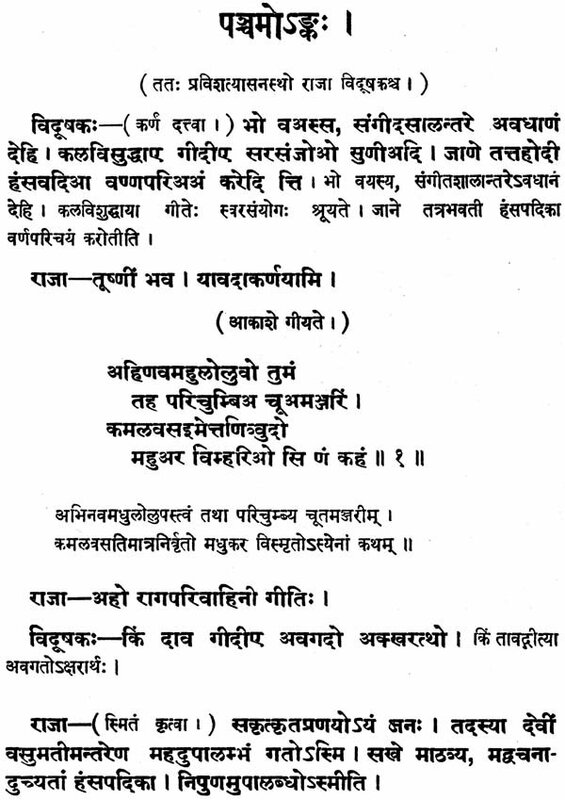 To mention a few more deviations, Sanskrit text in this part is followed by English translation verse by verse, exhaustive notes have been added to Raghuvamsa to discuss, in particular, the passages where the commentators have differed. 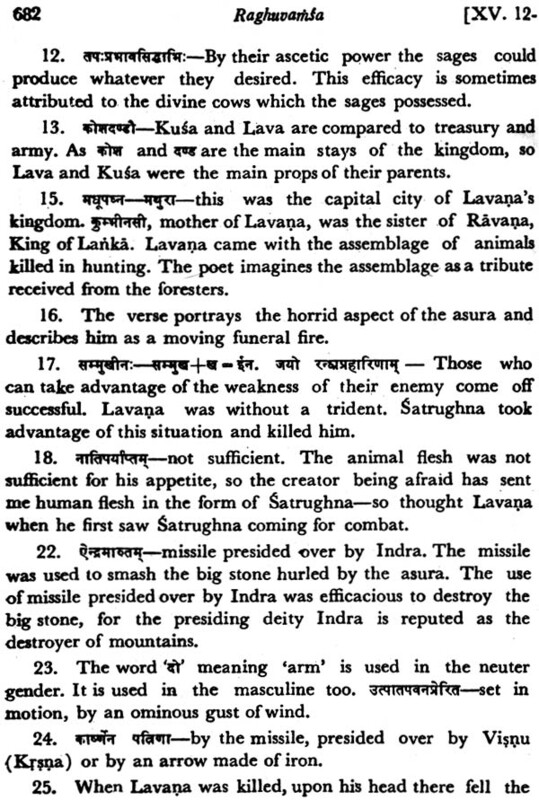 The reader should also note that each and every kavya in this part is prefixed either with an introduction or an editorial note. 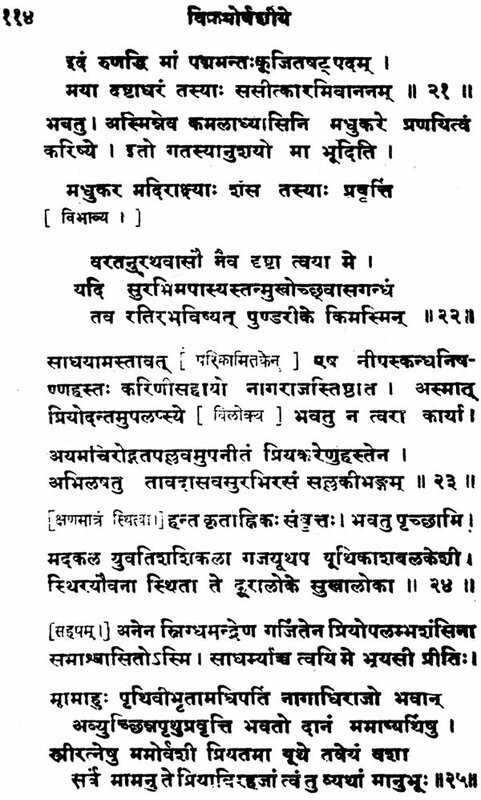 As to the general Introduction, it may be stated that the same has been incorporated in the introduction to the text of Raghubamsa. 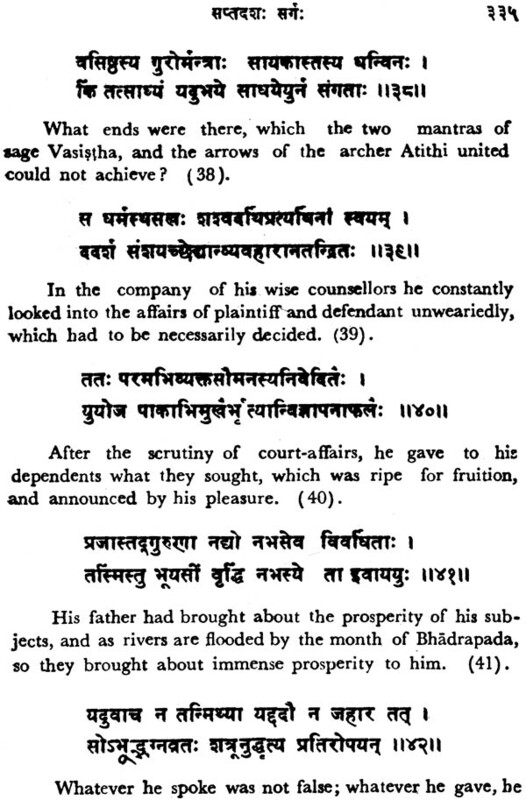 It has been considered unnecessary to repeat the same in the preliminary pages of this book. 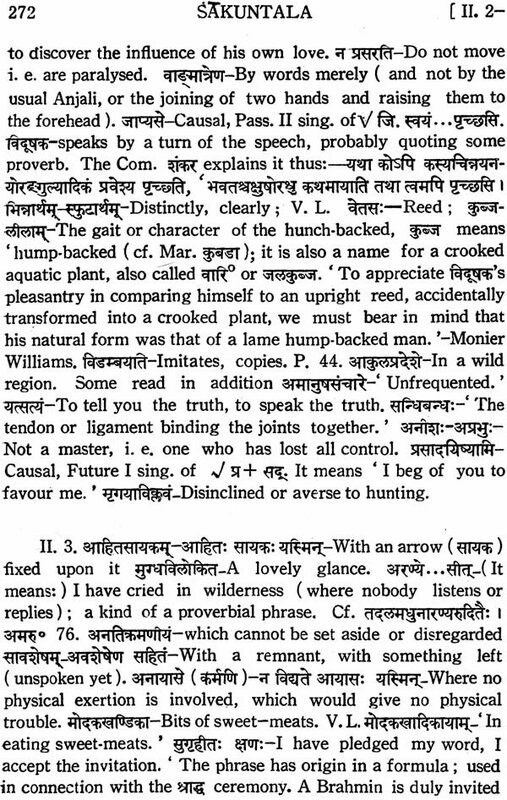 It is possible that the reader may not agree with the translator on the interpretation of certain passages. 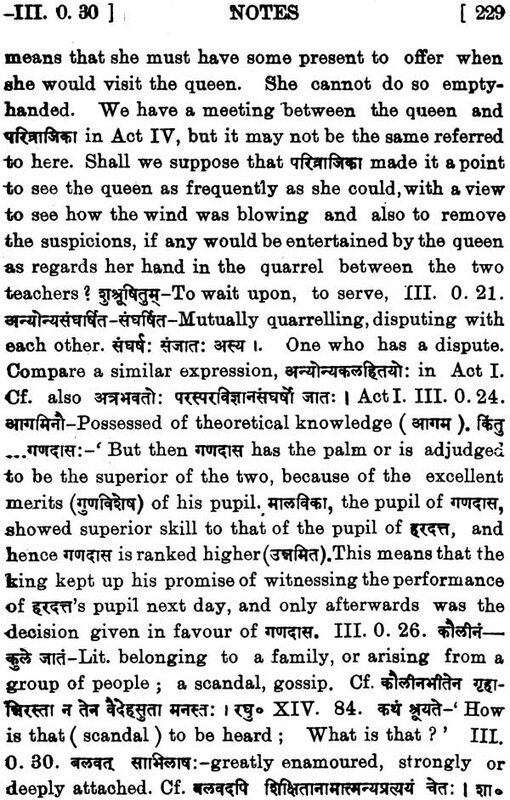 But he will certainly admire the translators originality of thought and the elegance of expression in the rendering of controversial text. 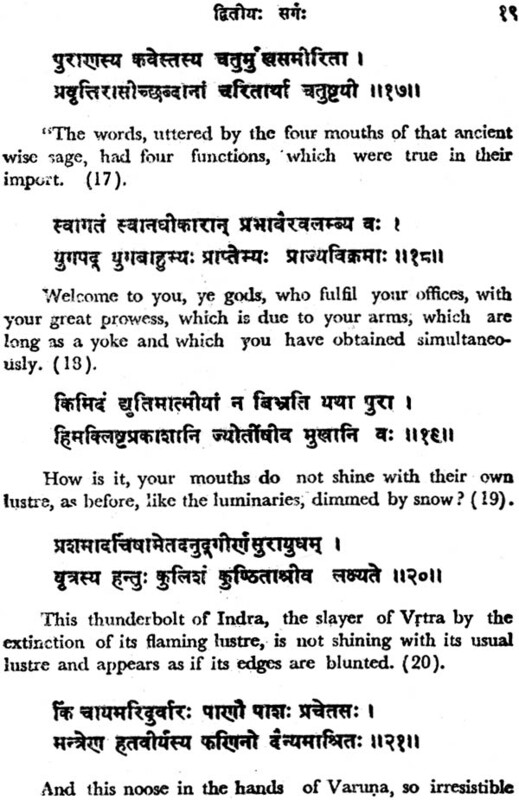 We find that ancient Sanskrit commentators too have differed in the exposition of certain verses. Then why not our learned translator? We are extremely grateful to scholars who have offered their suggestion for improving this work. They will be pleased to note that most of their suggestion have been adopted in this text.